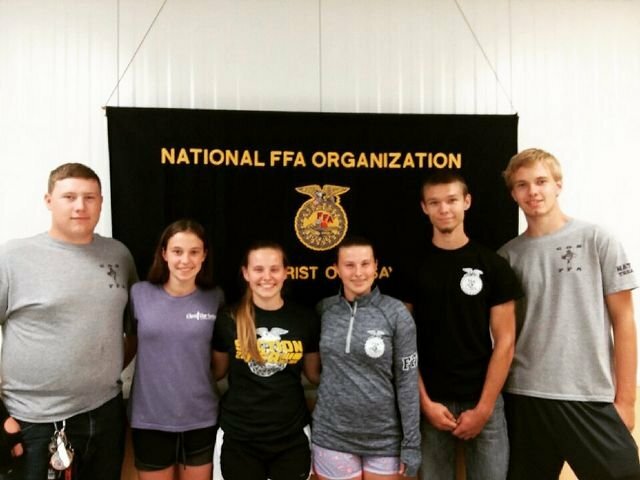 Our FFA continues to grow and offer more opportunities for our students. At their August 28th meeting, they elected the new officers for the 2018-19 school year. Students from left to right are: Riley Smith, President; Hailey Harbaugh, Reporter; Brie Luebkemann, Secretary; Emily Luebkemann, Vice President; Victor Rahlfs, Sentinel; and Matthew Koester is the Treasurer.